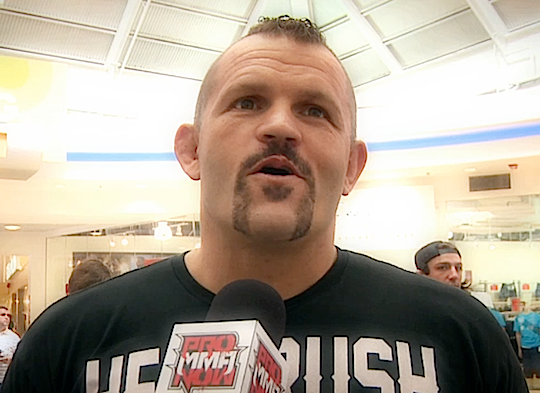 ProMMAnow.com (www.prommanow.com) reporter Susan Cingari recently caught up with mixed martial arts legend and UFC Hall of Famer Chuck “The Iceman” Liddell while down in Florida at an autograph signing prior to UFC on FX 3. Liddell, as one of the sport’s great ambassadors, talked about where he sees the UFC evolving over the next few years and he also revealed which compliments he gets from fans that mean the most to him. Watch as Chuck has an intense face-off with possible a future Ronda Rousey, and in closing, “The Iceman” discussed the one thing that could bring him out of retirement.